Today is Back to the Future Day, when Doc. Brown and Marty travelled to the 21st October 2015 in the second film. However, the third film, contained two locomotives, both of which can be seen today. Before we get started, Back to the Future is one of my favourite movie trilogies of all time, and each of the films holds a very special place in my heart. 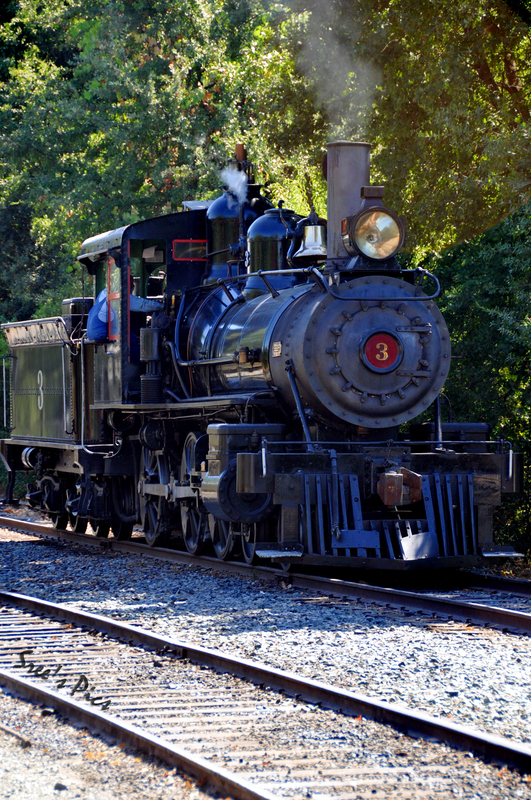 The first locomotive is “Sierra Railway No. 3”, which played the part of Locomotive No. 131. This locomotive was hijacked from a scheduled departure from the Hill Valley Railroad Station by the Doc and Marty for a “science experiment”, although, this was to push the DeLorean Time Machine up to 88mph, which was successful, although the locomotive was destroyed in Shonash Ravine, Clayton Ravine or Eastwood Ravine, which ever timeline you were looking at. The locomotive returned in 2010 and I plan to visit the Railroad over the summer of next year, and see the locomotive in operation, and of course, I will report all of the railroads that I visit next year, here on Loco Yard. The other locomotive is not actually operational, but a prop from the final few minutes of the trilogy, the Jules Verne Time Travelling locomotive, which is displayed at Universal Studios Orlando, where I visited this summer. It is situated outside the original Back to the Future: The Ride and next to the DeLorean used in all three films. Happy Back to the Future Day, and thanks for reading! ← Yesterdays Arrivals… An excellent Gala Is Brewing!